From the Prison to the Square. 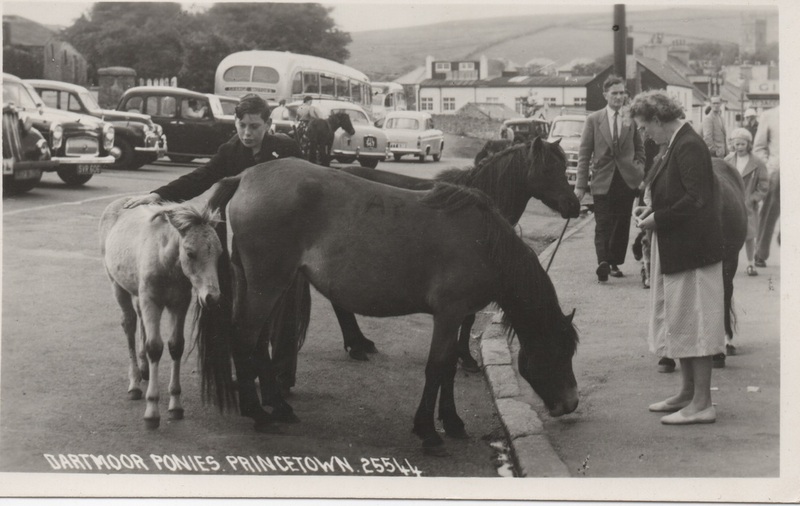 A photograph taken by my father, Gerald Worth in approximately 1960. 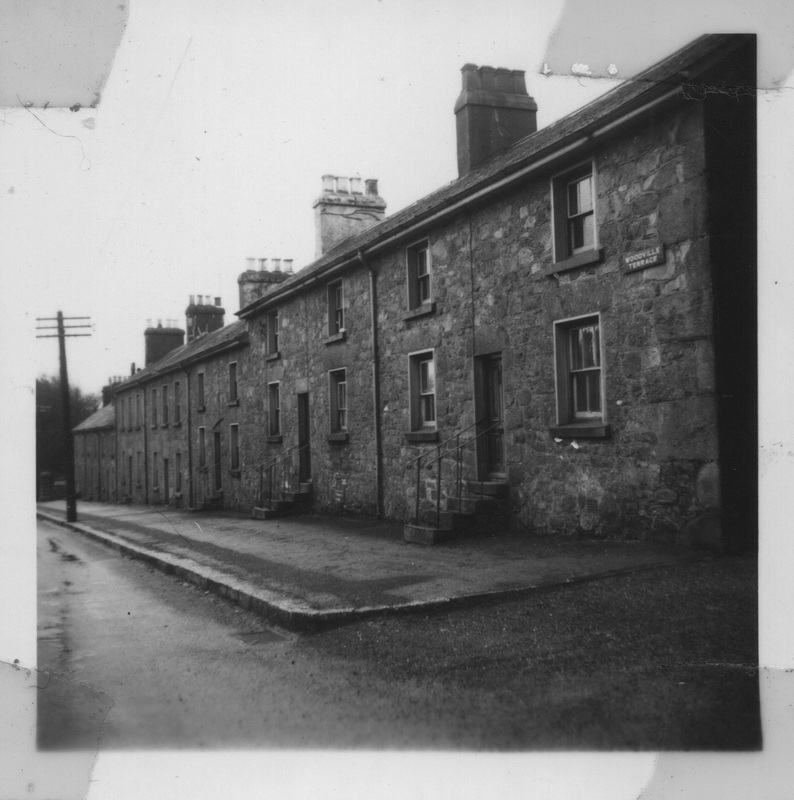 It shows Woodville Terrace shortly before demolition. 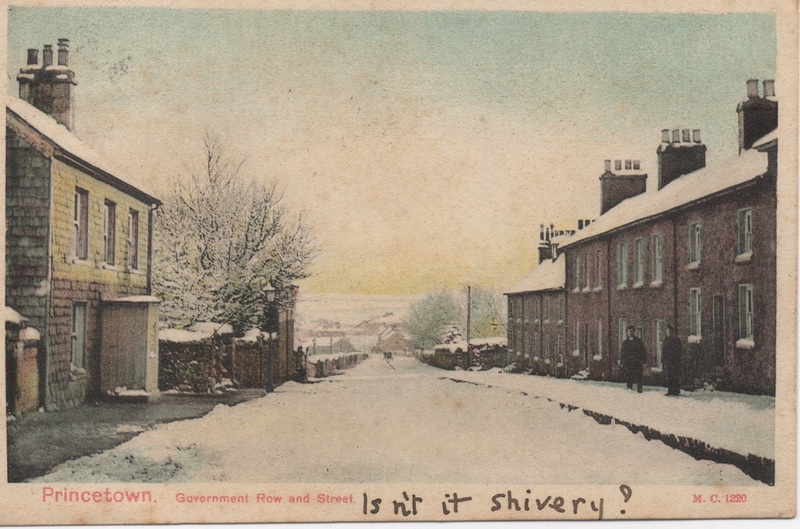 A cold looking view of Isca and Government Row, later to be known as Woodville. 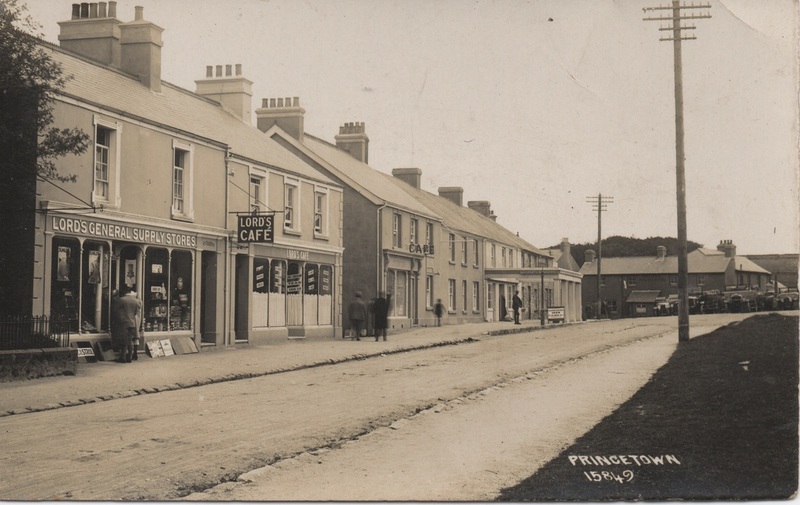 The card was posted in Princetown, April 5th 1906. 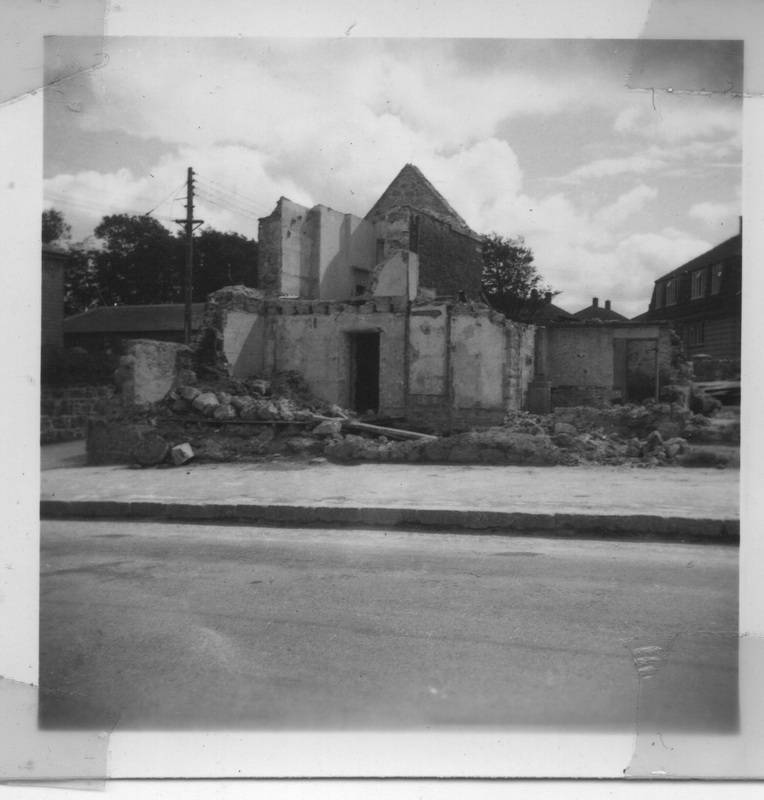 These two photographs show the bottom end of Woodville Terrace shortly before final demolition, circa 1960. 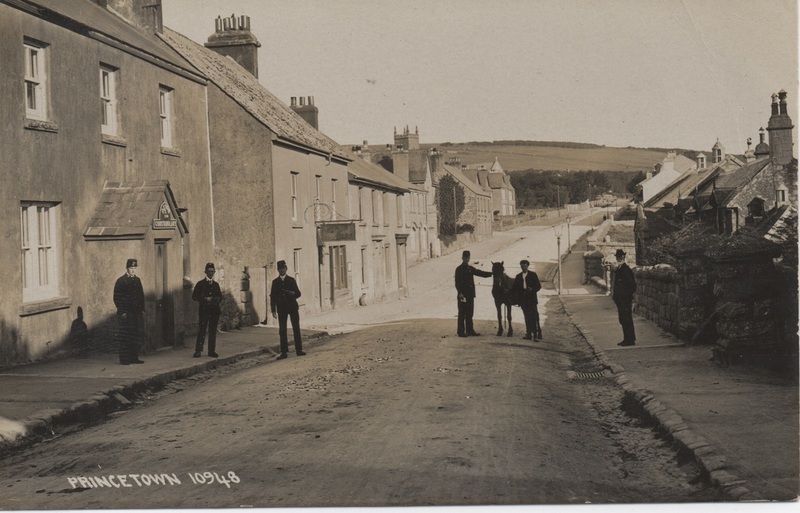 An undated early Chapman view of Devonshire Row. S/N: 10978. It's interesting to notice how deep the gutters of the un-metalled road are. 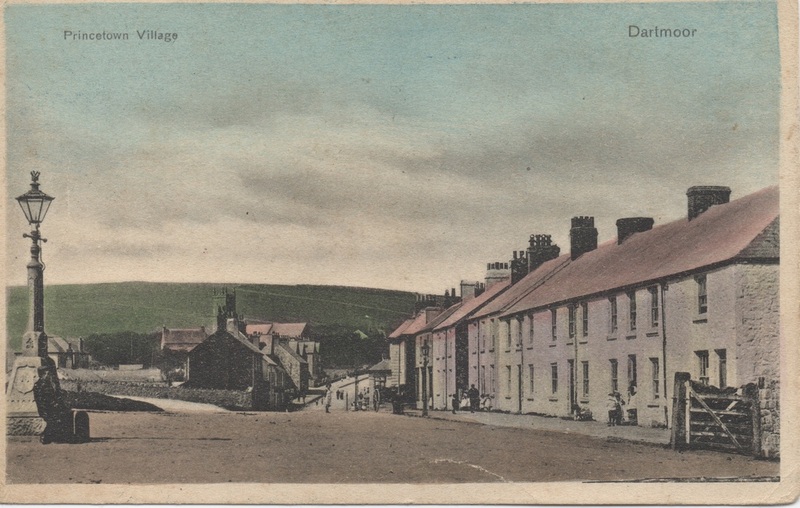 An undated Valentine's Series card, SN:44631 showing Devonshire House (No. 1 warders' block, later E Block) on a sunny day sometime early in the 20th century. Devonshire Flats were always unpopular quarters with the Prison Officers because they were extremely cold in the winter due to having poor heating systems. Many thanks are due to H.H. Benning for the images above and below. 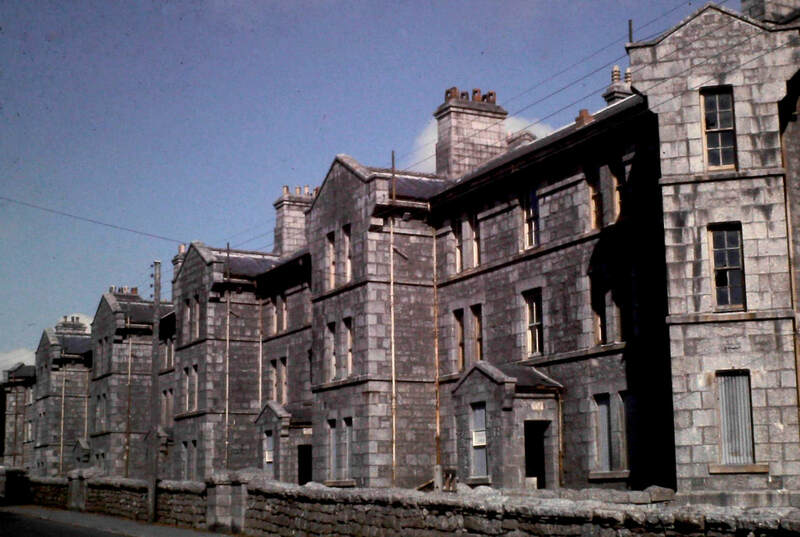 They were taken in the 1960's and show Devonshire House before demolition and the Prison Officer's Club. 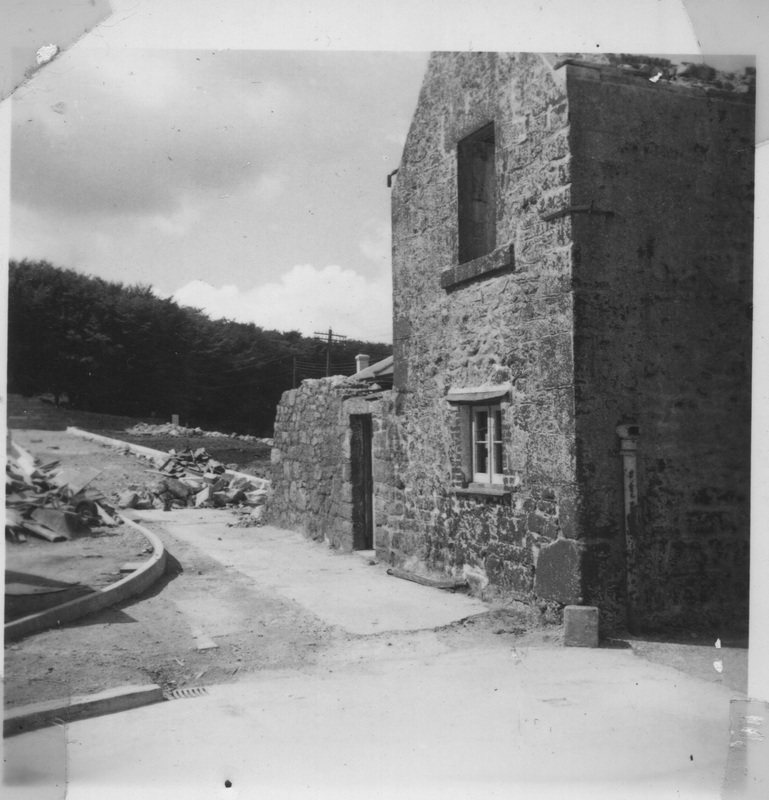 Growing up in Princetown in the 1970's I can only remember the Club as a rather austere looking building constructed of concrete blocks. Seeing this earlier phase of construction in wood came as quite a surprise. 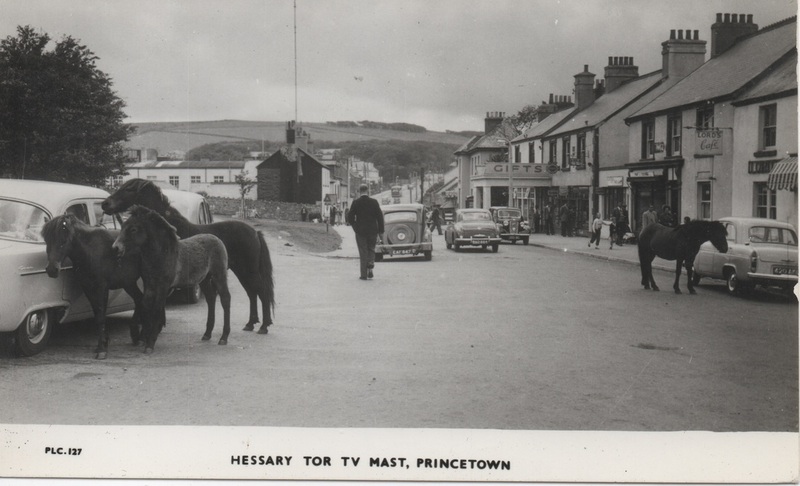 A view of Hessary Terrace postally used in 1964, but of an earlier date. Published by Kenneth E. Ruth, Ashburton. 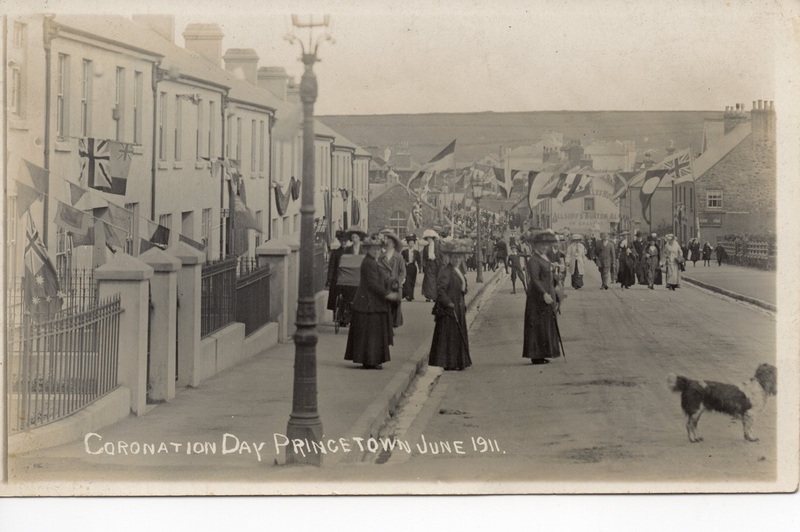 Hessary Terrace in a patriotic mood for the Coronation of 1911. 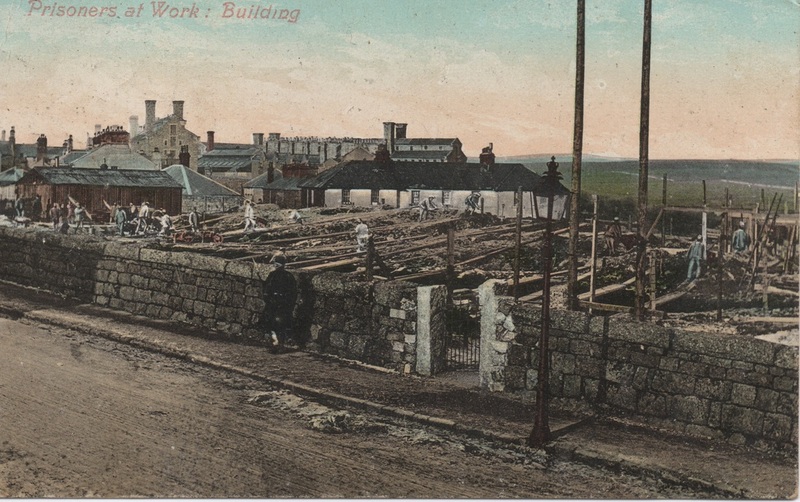 Entitled Prisoners at Work: Building, this card shows Hessary Terrace (G-quarters) under construction in 1908. The stamp has been removed from this card which was addressed to a Miss Edie Rocky of 52 Lisson Grove, Mutley, Plymouth. An undated Chapman postcard. 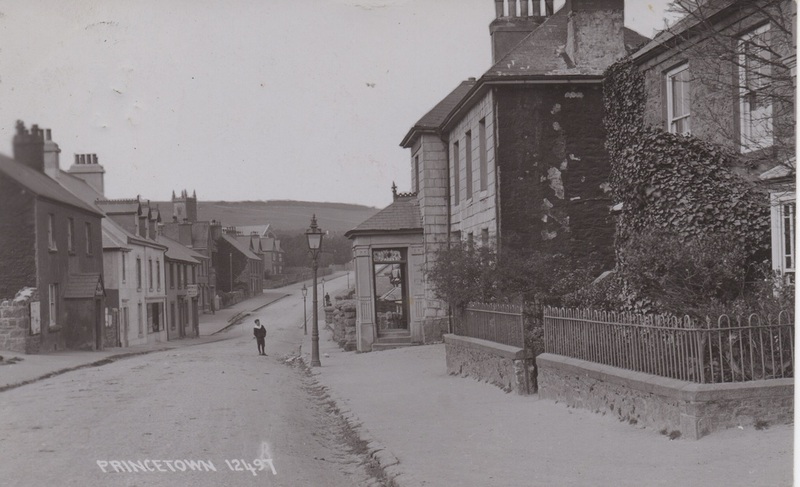 SN:10972 showing Tavistock Road with 'top' Finch's Shop, now Venville House in the centre of the frame. An undated WH Smith series card. 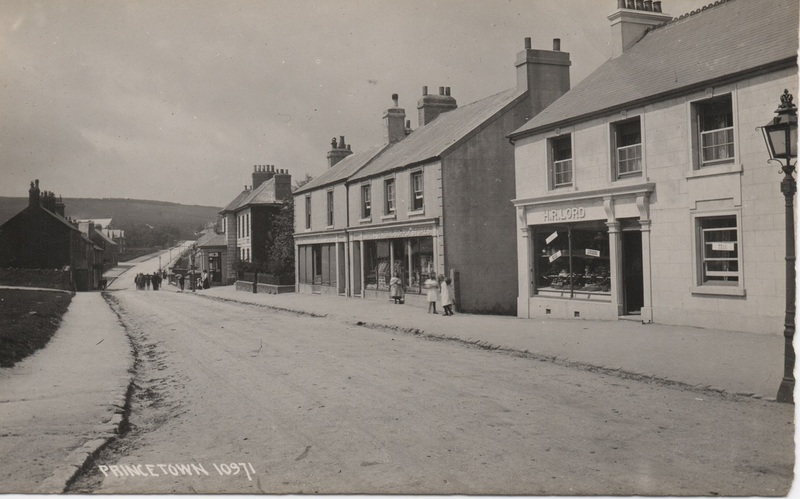 The small building on the left was Princetown's first newsagent shop. A branch of WH Smith. A Weighell of Launceston card, printed in Saxony dated 23/4/1903. 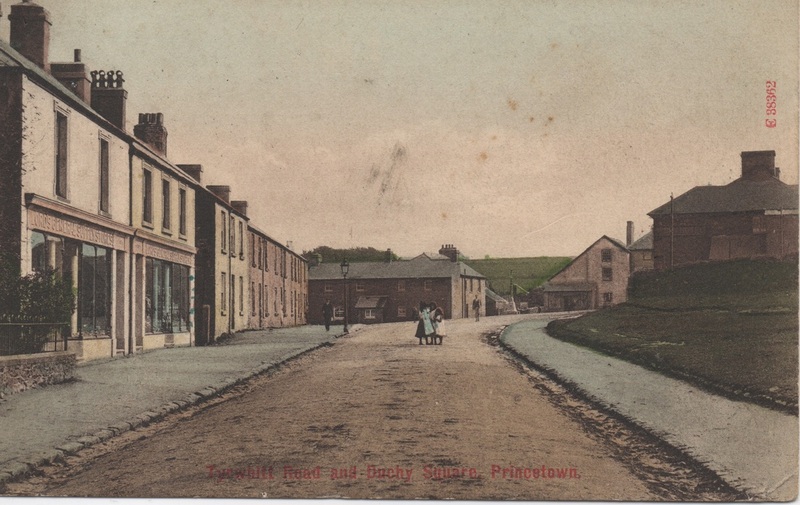 It shows the original site of Princetown's Post Office, a small shop at the end of the Prince of Wales pub. This is a very interesting if perplexing view. 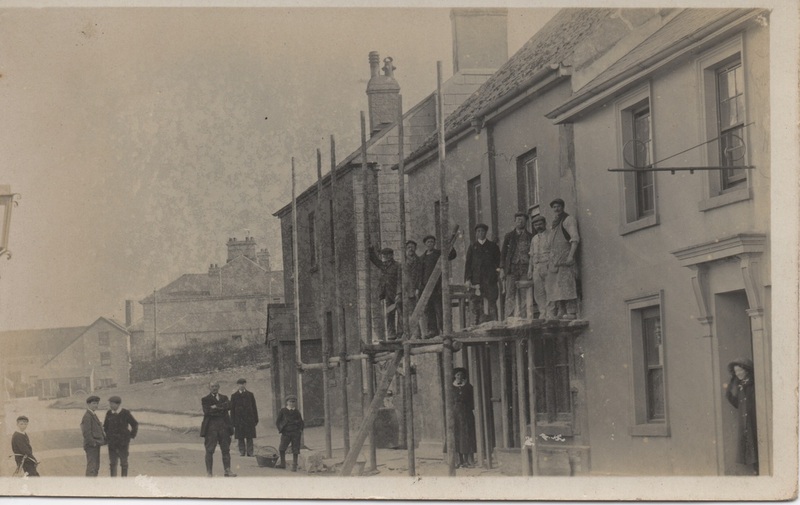 The gentlemen are standing on a rickety looking scaffold outside what was the Princetown Charity shop. The young lady on the right is standing in the doorway of the Prince of Wales Hotel. 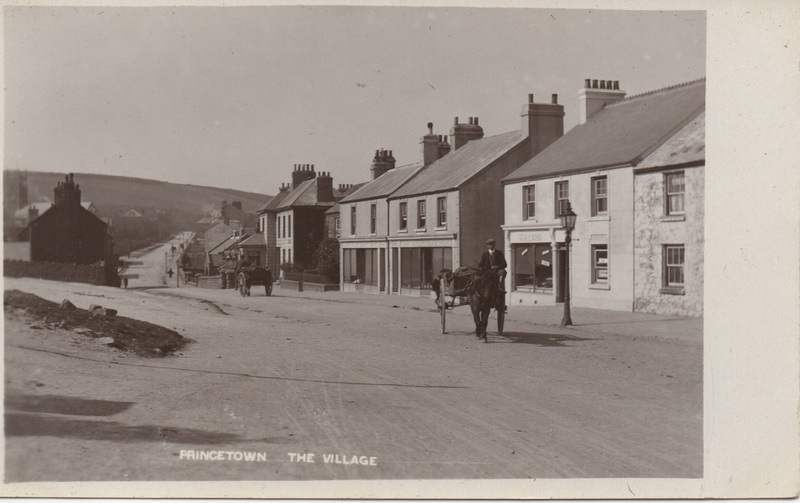 On the back of the card is written in old-fashioned hand writing "Princetown, Old Post Office during alteration." 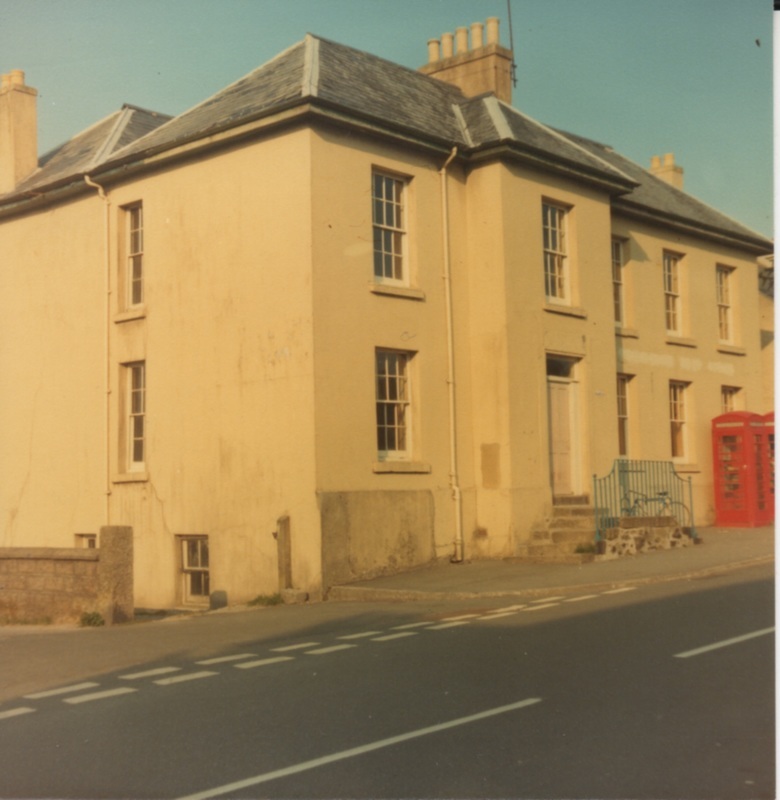 This suggests that Princetown Post Office started life in the Prince of Wales Hotel, moved to what is now Claremont House, then to what was formerly the Imperial Hotel, and then back again into Claremont House when the Imperial Hotel was demolished! 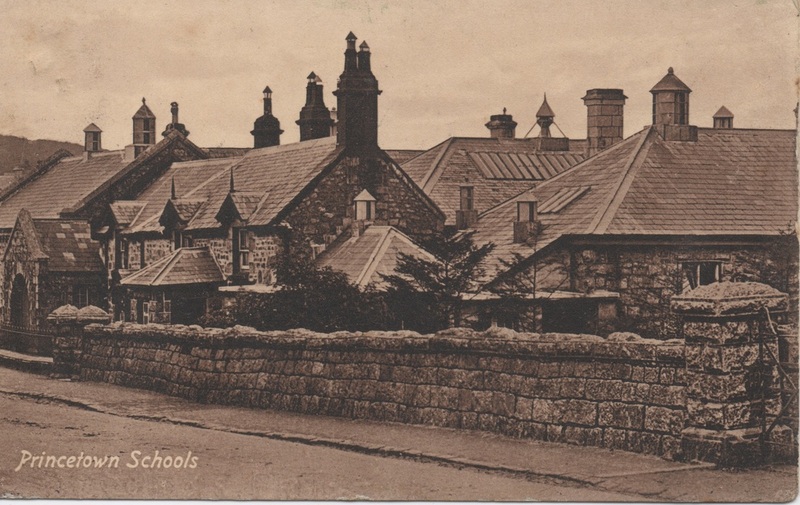 A postcard dated March 1918 show Princetown Schools. They did seem awfully keen on ventilation housings at that time, was there a stove or the like under each of those cones on the roof? 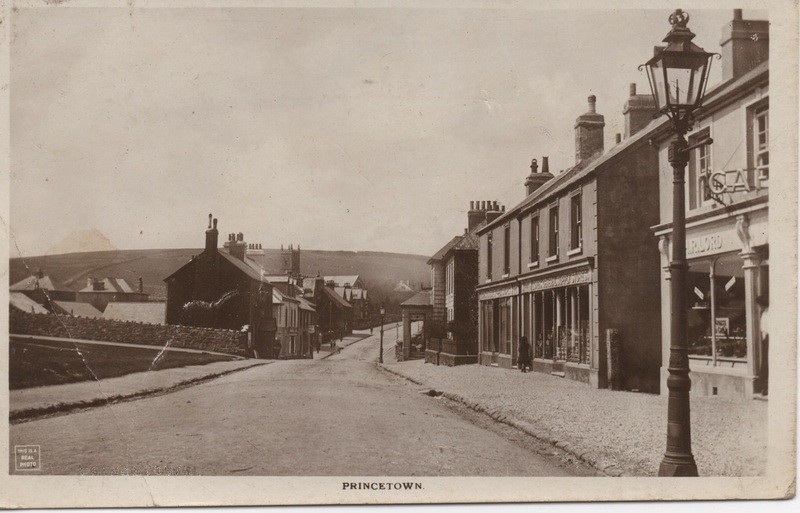 A view of Princetown Post Office, formerly the Imperial Hotel/Albert Inn. 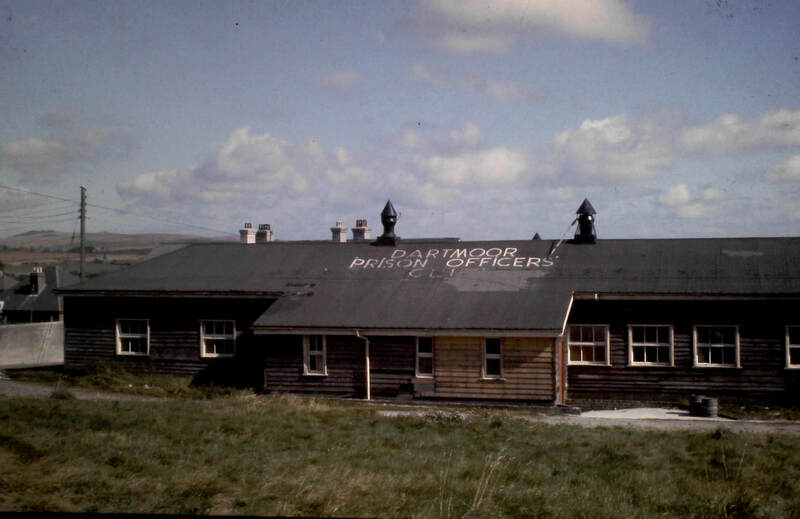 Taken in approximately 1982 or 1983, shortly before demolition. 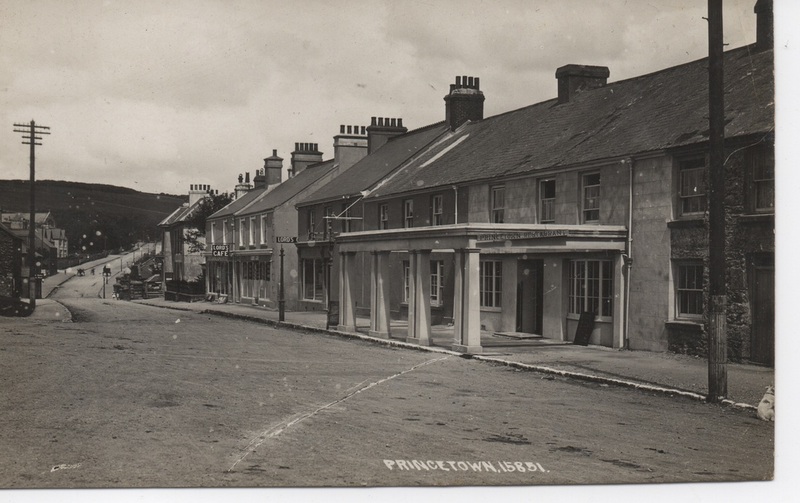 The official notice board has been removed from the pillar beside the door and the lettering spelling out "Princetown Post Office" has been crudely painted over. 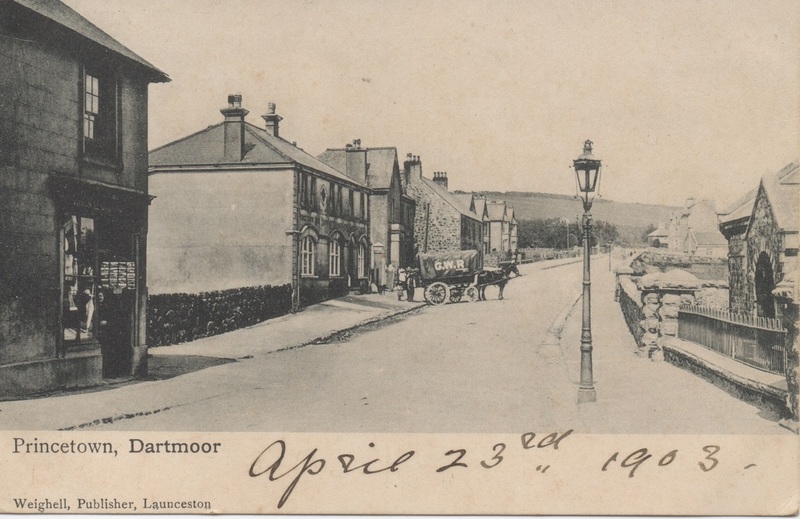 An uncommon 'portrait' format card of Tavistock Road by an unknown publisher. A view taken outside Helena Villa looking up Tavistock Road. 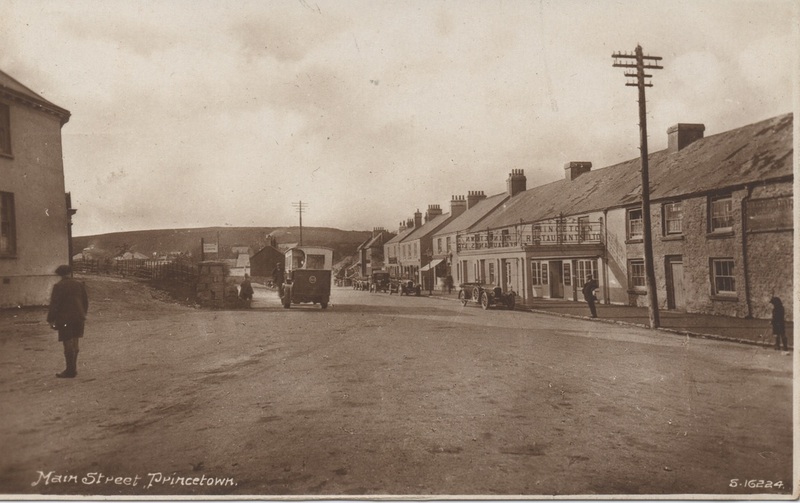 Posted in 1917 from Princetown. 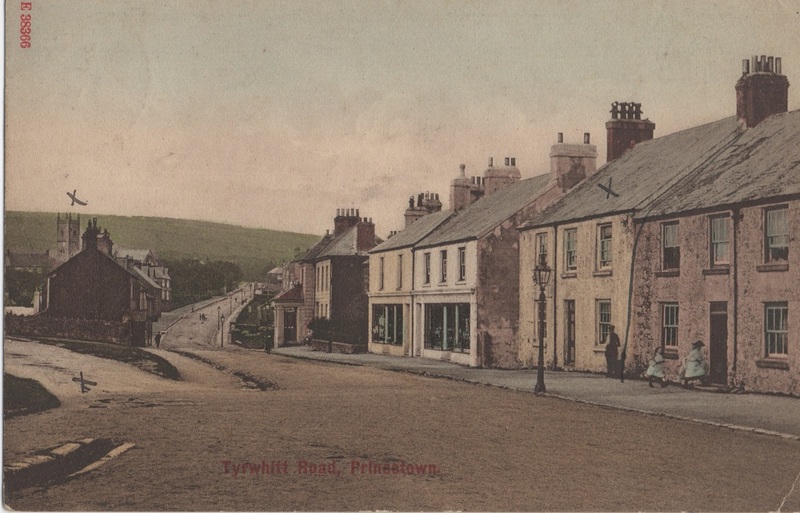 An undated Frith's card from a very similar position to the one above. In the period between the two views gas street lighting has been installed. 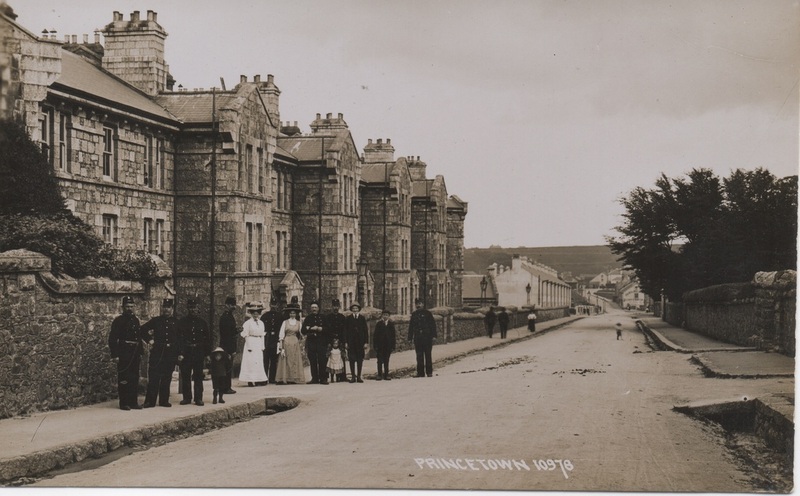 According to the Frith archive, Princetown was photographed by them in 1898, so this view may date from that time. A picture showing the Imperial Hotel in less pleasant weather can be found at the bottom of the Weather page. 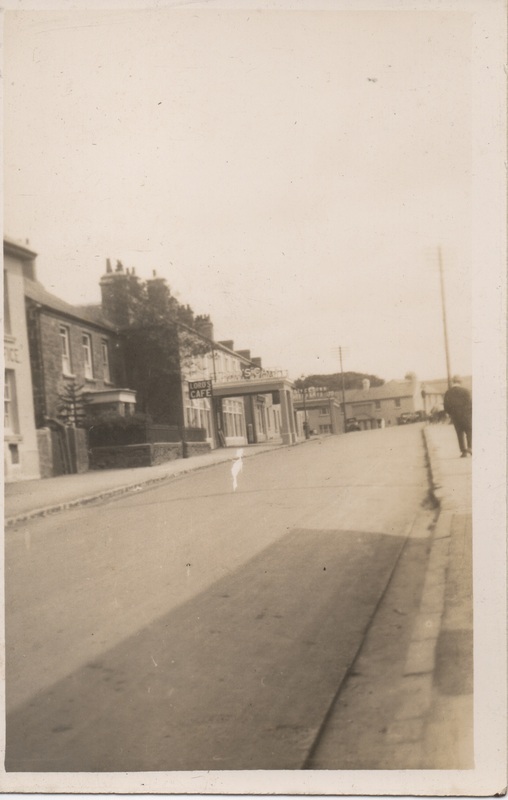 Another undated view of Tavistock Road. 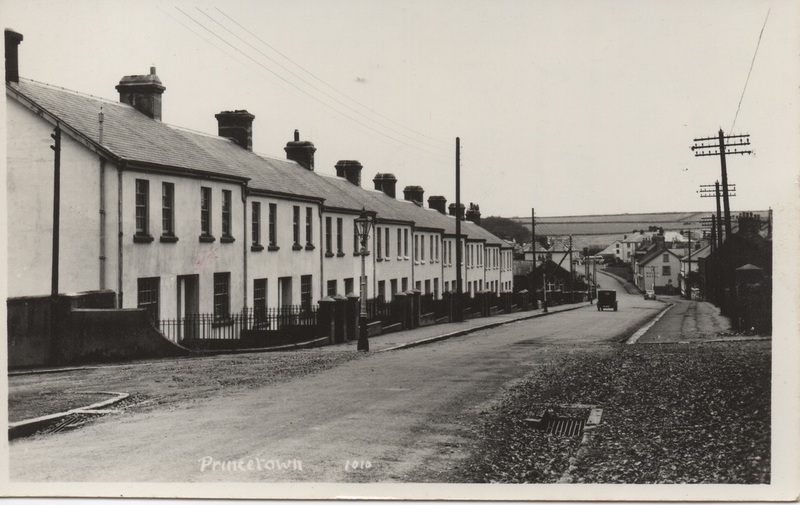 On the left hand side of the road it is just possible to make out an advertising sign for Claremont House Tea Rooms, in what was latterly the Princetown Charity shop. 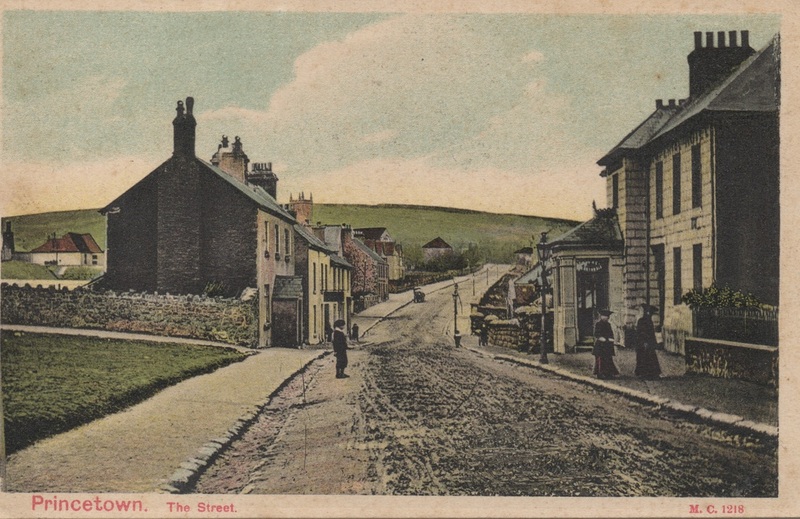 An undated card looking up Tavistock Road. The Imperial Hotel is advertising the sale of Bass & Co. Burton Ale. 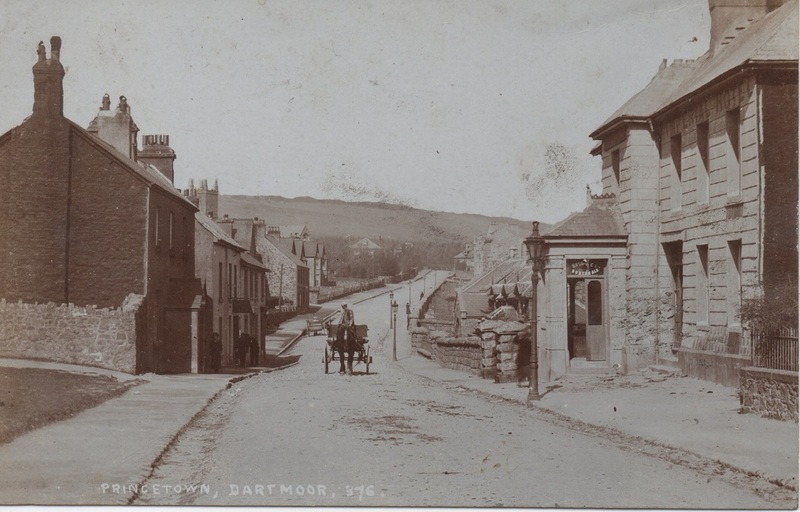 The Dartmoor Archive has a copy of this card posted in 1909. A Chapman card S/N: 15849. A note written on the reverse dates this card to 1923. This Chapman Card S/N: 16578 was posted in 1929 from Plymouth. The comparison with the card above is interesting. It looks as though the photographer took care to ensure the view was taken from precisely the same point. A Chapman card S/N: 12497 postally used in 1913. Helena Villa looks to be seriously in need of ivy control! 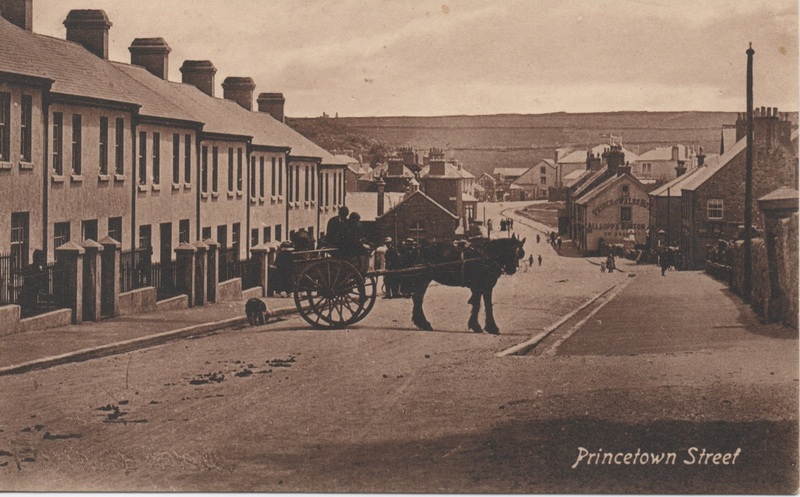 An image produced by H. R. Cahill, Princetown. The view shows Helena Villa in a period when it had bay windows. 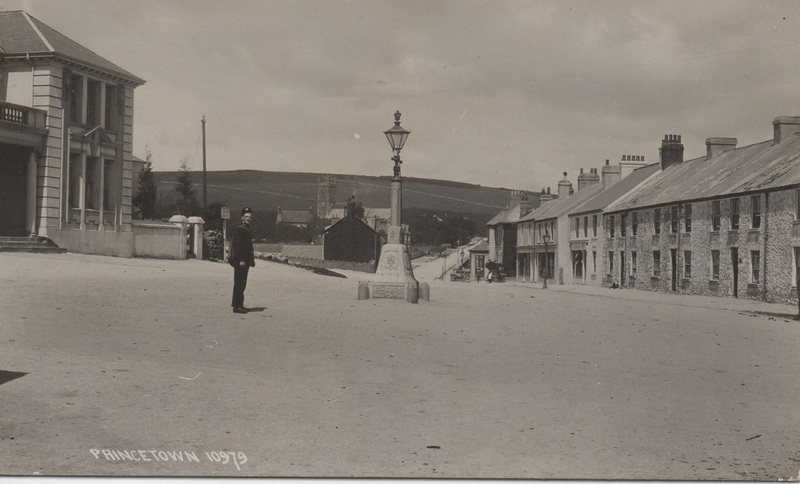 To the far right of the picture work seems to be taking place on what is now Princetown Post Office and Stores. 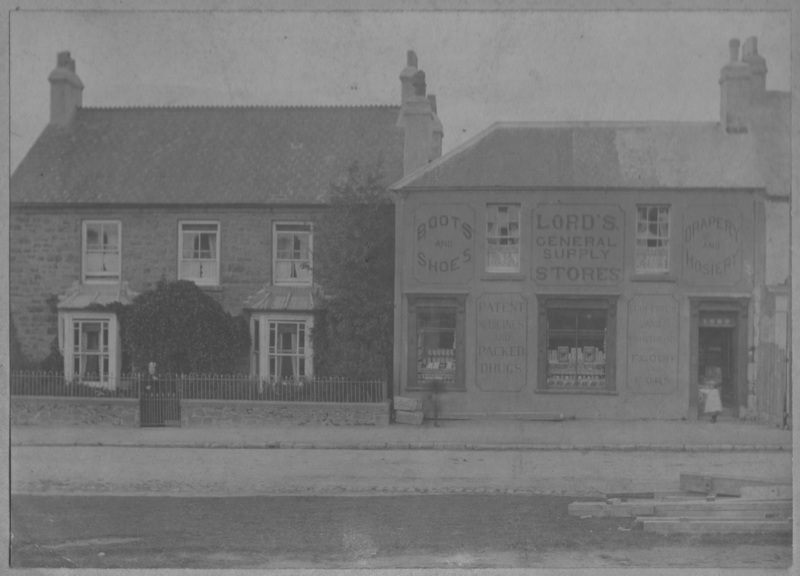 I wonder if the baulks of timber on the village green indicate that this picture was taken when Lord's shop was expanding to take over this building also? 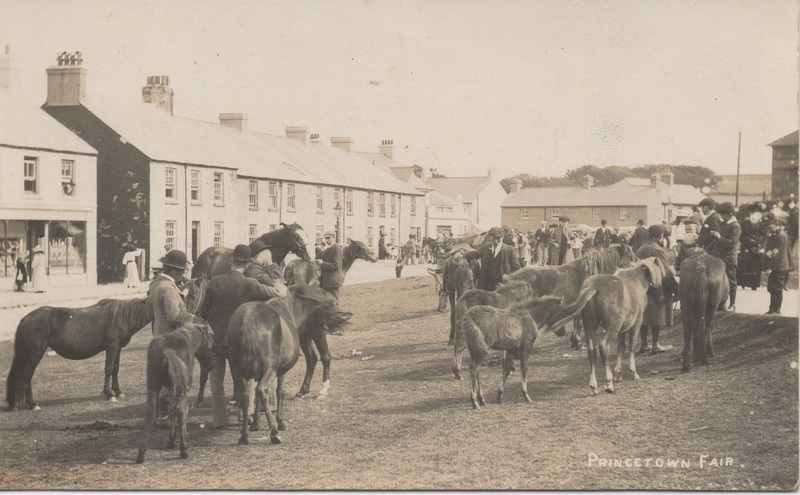 Please also have a look at the infamous 'Cattle Killed by Lightning' cards on the weather page for more pictures taken by what seems to have been Princetown's resident photographer. 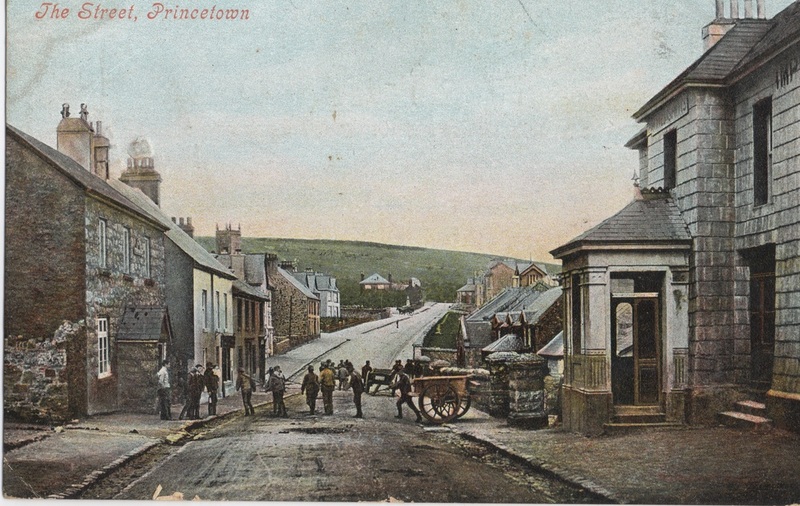 A rare W. R. Gay's Art Series postcard of Princetown Fair, undated but presumed to have been produced between 1903 - 1908. A card published by W. B., P.. 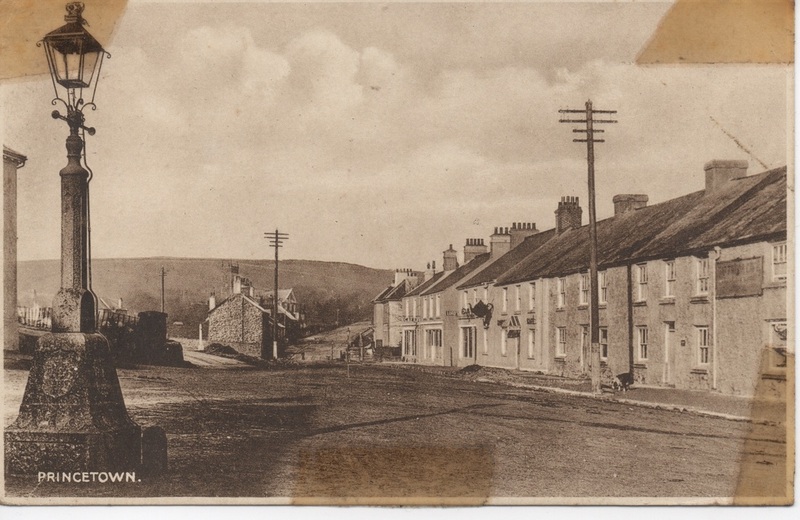 The card was posted in August 1917 to Mrs. H. A. Lord, "Devonshire" House, Princetown, Devon, and reads " Dear Aunty. Went for a day to Yelverton & saw this PC, thought you would like to see your own photo at the door, it's raining now so am going home again. Love from Nellie." A Chapman card S/N: 10971 tentatively dated to 1910-1911. A busy looking scene from the late 1950's from Photomation Ltd. 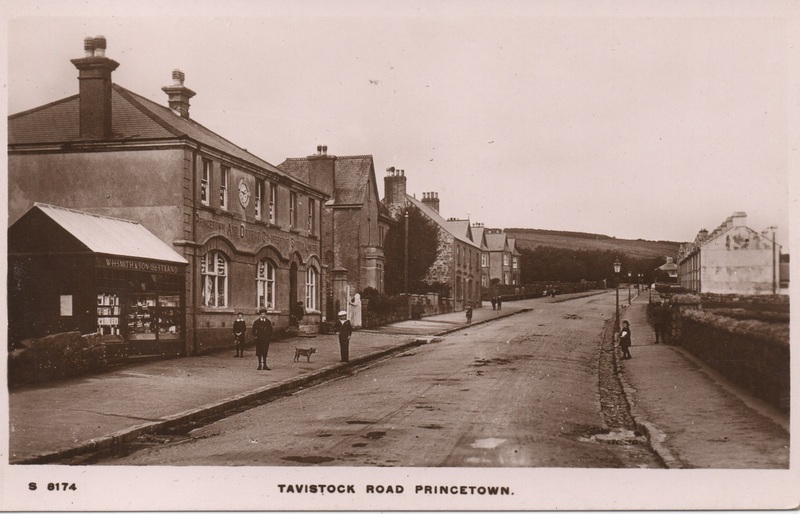 It seems that at one point, Tavistock Road was known as Tyrwhitt Road. 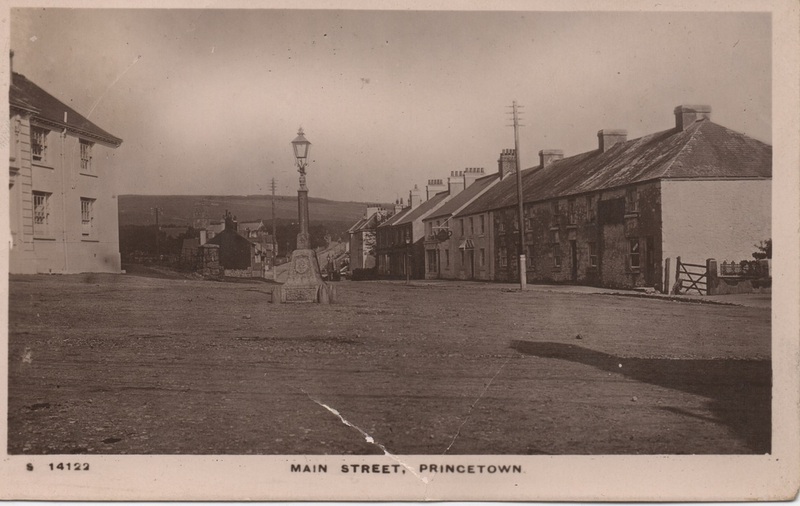 The card was posted from Princetown, August the 21st, 1909. 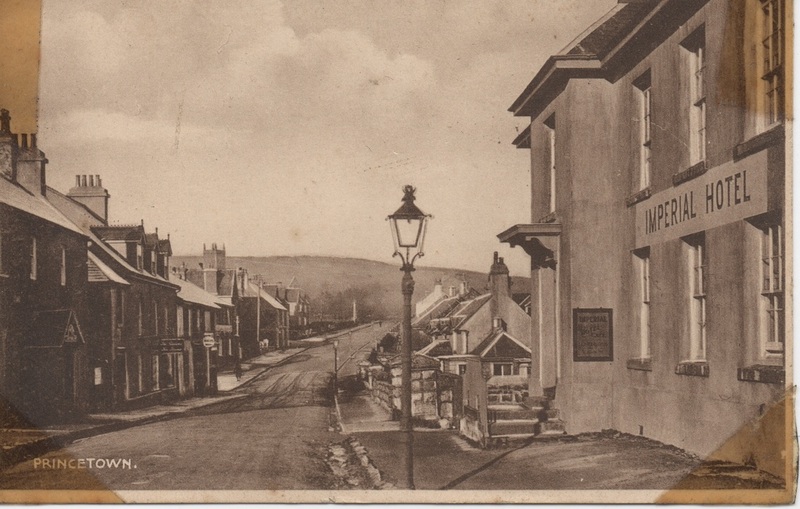 The reverse reads as follows: To W. Allen, The Mount, First Avenue, Mannamead, Plymouth. "Dear Mother. Photo of our house that we are having altered the other cross is the church and station road. Love from Flo (?). 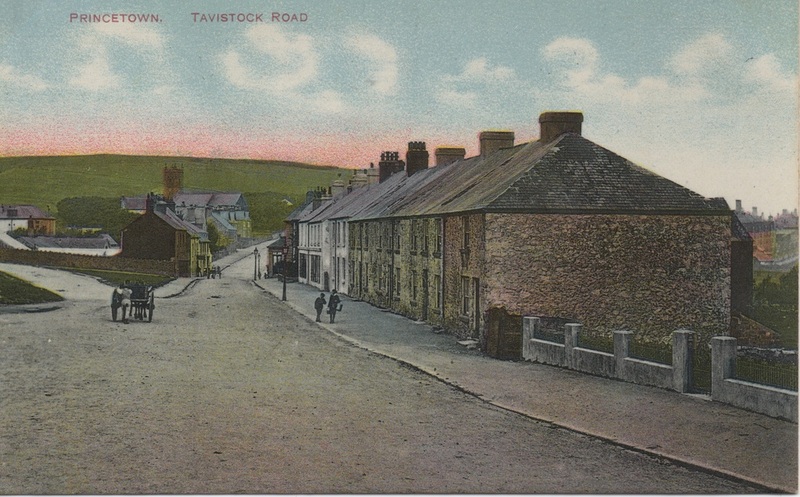 An undated view of Tavistock Road from an unknown publisher. A Chapman card S/N: 15851. A nicely sharp Chapman card, S/N:10979 tentatively dated 1910-1911. 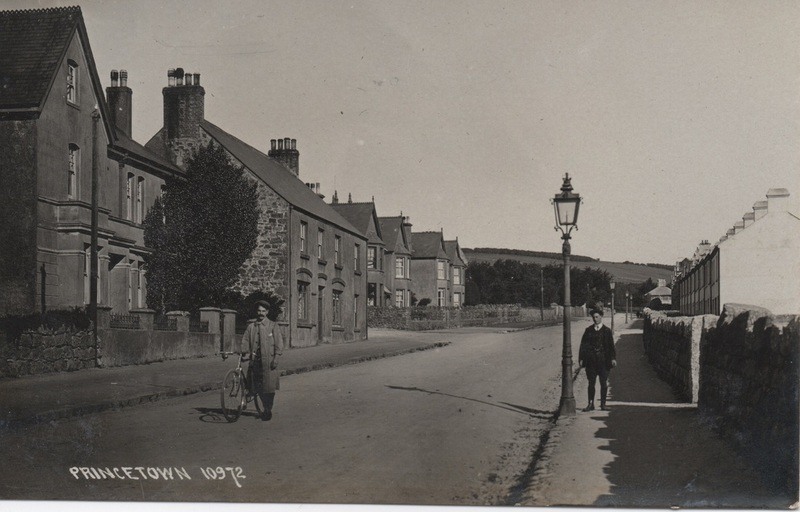 A Kingsway card (W. H. Smith) showing a view taken in the late 1920's. 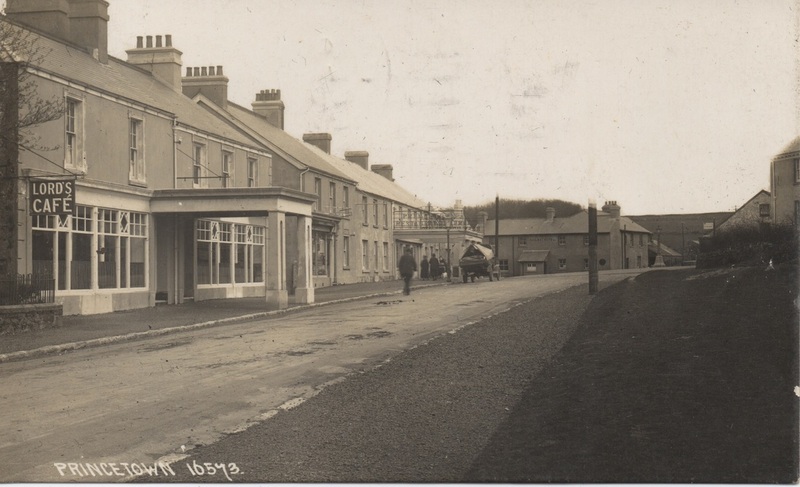 Now an arcade has been constructed outside the premises of Princetown Restaurants Ltd. A bus waits outside the newly extended Duchy Hotel. A note on the rear of this postcard from an unknown photographer indicates an approximate date of 1919 - 1920. 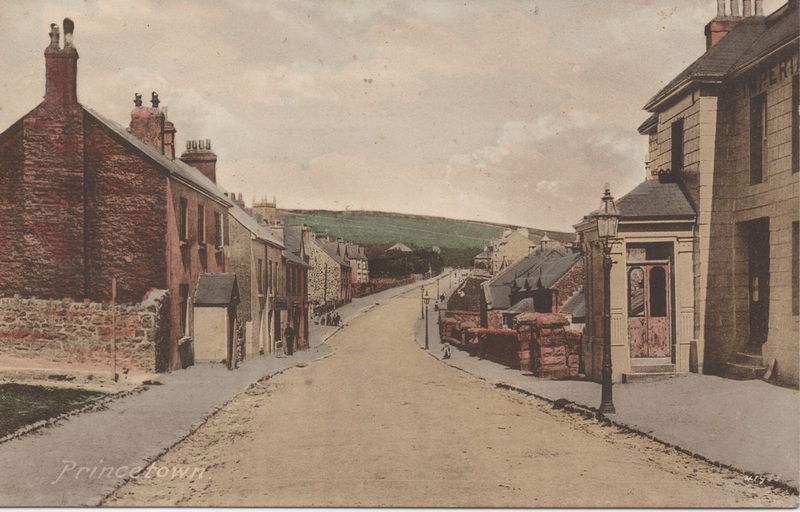 Tavistock Road in a hand-tinted view taken before the construction of Lamorna in 1905. A sadly damaged and undated view of Tavistock Road. More and more of the cottages on the right hand side of the road - Tyrwhitt Row, are becoming commercial properties. A giant tea pot hangs proudly outside one of them. A small glass overhanging structure outside another. Advertising signs are appearing in other windows. 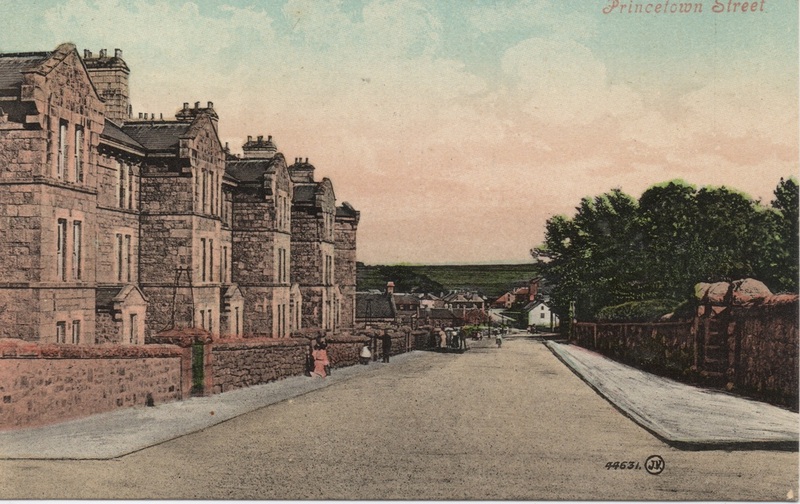 Tavistock Road, published by W. E. Tooker, Post Office, Princetown. A very late era Chapman card S/N 25544 showing a busy day in the 1950's .